Looking for a Christmas present for someone who has a “do-it-yourself” personality? Do you have a whip enthusiast in the family that h as always wanted to make whip, but doesn’t know where to start? Look no further! Now through midnight on Dec 20th, I am reducing the price of my new Cow Whip Tutorial DVDs to just $67.00! 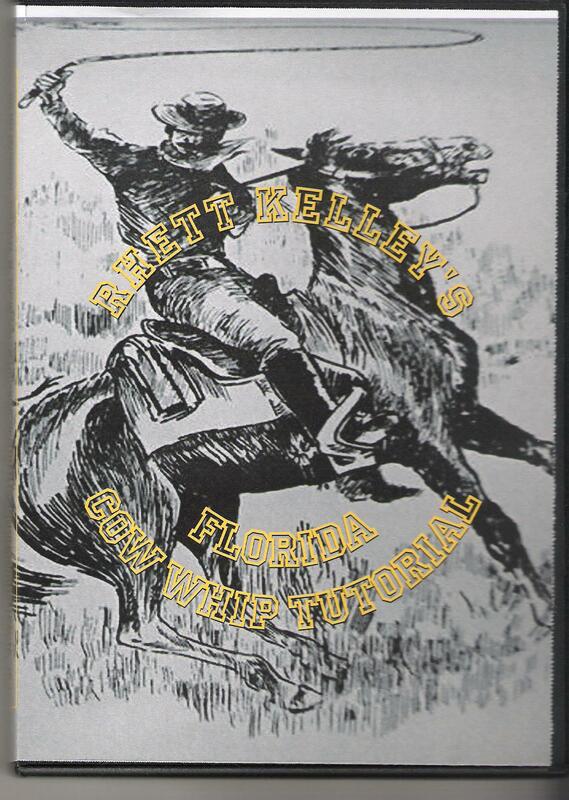 Now is the time to order to get a great deal on the only Florida Cow Whip making DVD tutorial on the market. These DVDs are now being used all over the world by folks to make their own Florida cow whips. This 2 disc video set is an over the shoulder look at how I make nylon cow whips. I show all my tricks and techniques. Some users of my tutorial are now starting their own whipmaking businesses -great for earning spare cash in a tough economy! This reduced price will include Priority Mail service to all U.S. address. Express Mail available for an additional fee for those who wait until the 20th to order and want to receive the DVDs by Christmas. International Shipping not included. Email me at Rhettswhips@yahoo.com to place your order today! Paypal and Checks/Money orders accepted! This entry was posted on Thursday, December 2nd, 2010 at 6:55 am	and posted in Cow Whips, for sale, nylon whips, video, whipmaking, Whips. You can follow any responses to this entry through the RSS 2.0 feed. tried to call to order whip making but the said number was no good. i need your help . My number is 912-685-6759. My phone line is working fine. Please try again. Thanks!